Your Joy subscription is confirmed! Thank you for bringing Joy into your life! 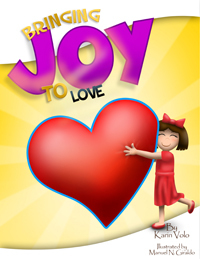 FREE Joy To Love eBook! Download Instructions: PC Users ON using the link above click your right mouse button and select "Save Target As" then save the file to your Desktop or Downloads folder. NOTE: This FREE eBook requires Adobe Reader program to view. Adobe Reader is installed on most computers however if you need a copy of Adobe Reader please click here and you will be taken to the Adobe.com website to download and install the FREE Adobe Reader program.